Don't leave your floor ugly and alone. 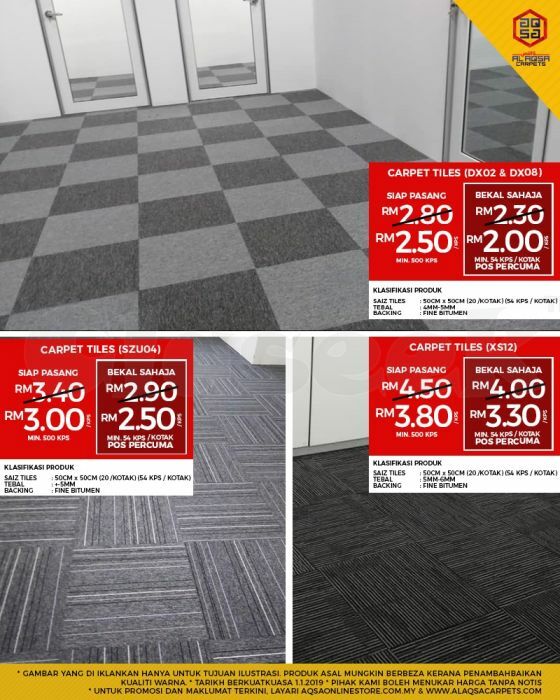 Give it the best look with Carpet Tiles. Best offer At Alaqsa Carpets!! If you have an alone floor then we have the best floor tile for your home floor. At ALAQSA CARPETS our aim is to supply all our customers with high quality, stylish and practical floor coverings at an affordable price. Come and see us; we are sure you won't be disappointed.